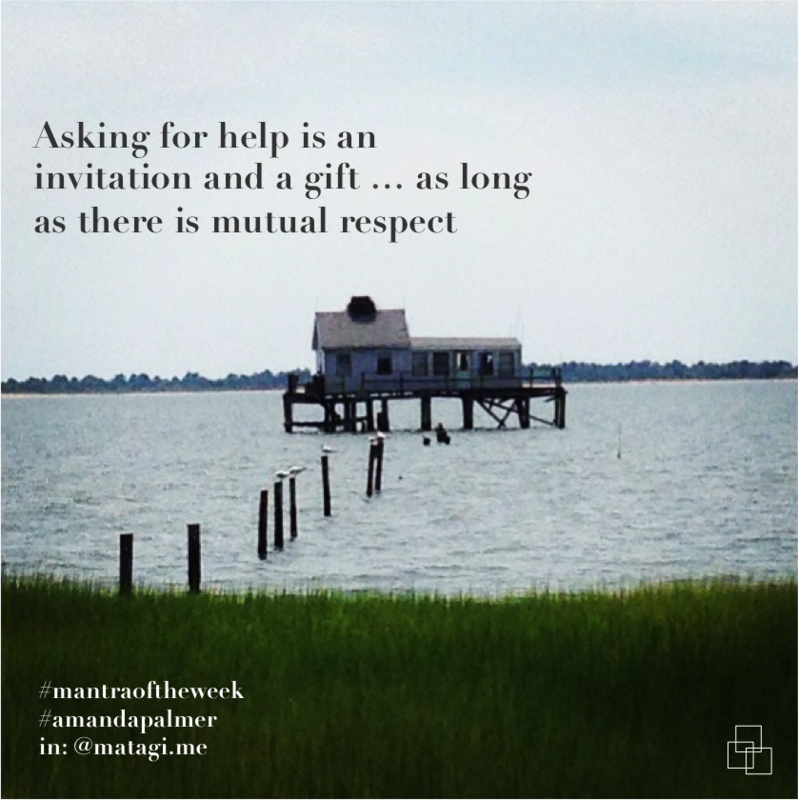 This follows up on my last post about Amanda Palmer’s book, “The Art of Asking.” As discussed, asking for help is hard for me, for a number of reasons. Logically I understand that it is far more efficient and more can be achieved as a team than as an individual – but it’s difficult. This mantra reminds me to transform the way I think I about asking. It also reminds me that it’s not all about me. Our mission is to provide open source coaching tools, products, and services to level the playing field – and help smart, motivated, humble, high achievers, find success and happiness in the network economy. © MATAGI 2019. Allegiant theme by CPOThemes.